As folks continue to explore ColdFusion (2016 Release), aka CF2016, regarding what's new or changed, I thought I'd put together a listing of what has changed in the CF Admin specifically. This is another in a series of posts I started last week on CF2016. Often in my role as an independent consultant providing ColdFusion server troubleshooting services, I find myself helping folks determine whether or that a problem is in their database. And though it may surprise many, I generally do not find the problem to be very often with the SQL they are running. More often it's about configuration issues. For instance, it may be that they have not been keeping their indexes or statistics updated, or it may be that they need indexes that they don't have, or have too many that they don't really need. Or it may be that they have not done any tuning at all and the default settings for their database server are not be well suited to them. And though such problems are common to any database server (MySQL, Oracle, PostgreSQL, and so on), I find that an awful lot of my clients (for whatever reason) do run on Windows and do use SQL Server (and that doesn't make them stupid or lazy. Different strokes for different folks). So in this post I want to focus on some SQL Server resources, related to such matters, which I find that I refer folks to often. Some are blog posts, some are code you can run, and some are tools (mostly free). People using other DBs would do well to read along and could find corresponding resources/tools for the same problems in their respective DB servers. If you're running CF 10 or above, there was a very interesting post on the Adobe CF blog, from July 19 2015, entitled, Configuring Status Worker in Connectors. The Adobe blog post title may not have caught your attention, but it's about setting up a lightweight and built-in Tomcat monitoring feature for observing the status of the Tomcat web server connector. You may want to consider enabling it, but I would add some caveats and observations that I share below. Note that it's really quite easy to enable, and DOES NOT require a restart of CF (only of your web server, or technically in IIS, a recycling of the application pool/s--a web site restart is not enough) to take effect. Just wanted to share word (sorry it took so long) that I'd been selected as a speaker at the upcoming dev.Objective() conference, in Minneapolis in Mid-May. Hope to see lots of my fellow CFers there, and of course new folks who were not CFers. While the conference name has changed (from cf.Objective()), there are still plenty of CF-oriented topics, and of course as nearly everyone would point out, it's good for everyone to expand their reach and focus. Often when people are trying to troubleshoot seeming problems in ColdFusion (or whatever app server you may use), they may wonder if (or have tools which suggest that) their CF requests are being held up waiting for a query to run in the database, which seems hung up. Wouldn't it be nice to know, at any moment (such as when things are going badly), just what queries (or stored procedures or commands) were running in the database at that point in time? Well here's good news: if you're running SQL Server, the following SQL query will show you just that: the currently running SQL statement(s) and some additional details about each query including their duration, their database name, the program executing the SQL, the session id, and much more. For more (including why things like Activity Monitor, sp_who2, and others aren't the answer, as well as what to do if you may be unable to run this code), please read on. 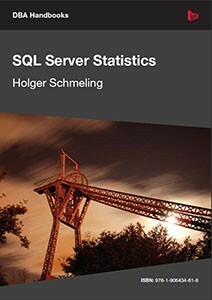 If you want to understand the important concept of SQL Server statistics (a mechanism within SQL Server which tracks metadata about your data, and which can significantly affect query performance if not managed well), I think you can do no better than than to spend an hour or so reading the free 40-page e-book, SQL Server Statistics, written by Holger Schmeling and offered by Red-gate. The book is a quick read, and really well done, including a discussion of what statistics are, why they're important, how to diagnose trouble with them, and how to use the SSMS interface and/or SQL statements/commands to better understand them. There are plenty of screenshots and it's written in a tutorial manner. And while it's from 2010 and covers only up to SQL Server 2008, most of the concepts apply just as well to SS 2012 and beyond, and of course many organizations are still running on SS 2008 or even earlier!